The globalization of threats and the complexity of international security issues represents a greater challenge for international policing in (re)shaping inter-agency interaction, and makes effective international police cooperation more necessary than ever before. 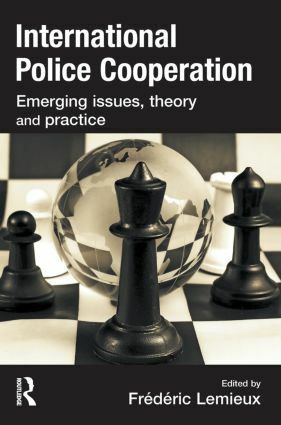 This book sets out to analyse the key emerging issues and theory and practice of international police cooperation. Paying special attention to the factors that have contributed to the effective working of police cooperation in practice and the problems that are encountered, this book brings together original research that examines opportunities and initiatives undertaken by agencies (practices and processes introduced) as well as the impact of external legal, political, and economical pressures. Contributors explore emerging initiatives and new challenges in several contexts at both national and international levels. They adopt a diversity of approaches and theoretical frameworks to reach a broader understanding of current and future issues in police cooperation. Forms of police cooperation and trends in crime control are examined, drawing upon the following disciplines: criminology, ethics, organizational science, political science, and sociology.